HTML5 website templates with responsive, flexible and professional design. 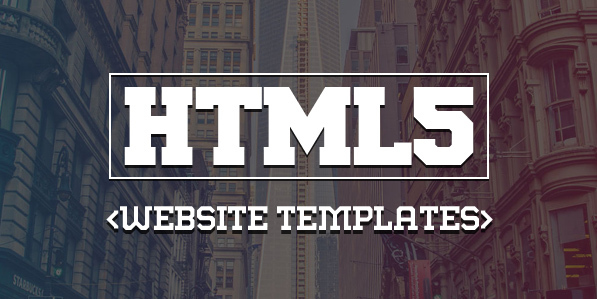 HTML5 templates suits for any type of portfolio, personal website, business, corporate, design studio etc. All web templates are delivers the perfect user experience. Website template are desktop, tablet, mobile optimize with unique pages and builders. Leman is a modern and clean e-commerce template. It’s coded keeping in mind most of widely used e-commerce platforms. The template consists of 22 pages. The HTML structure is based on Twitter’s Bootstrap 3.1 framework. For styling we used CSS3 & HTML5. Carera is a professional e-commerce website template coded with HTML5, CSS3 and Bootstrap latest version. This template suitable for fashion, shopping, clothing, wholesale dresses and similar websites. Simple and compact HTML template, ideal for handyman companies or for an individual handyman, plumber, electrician or painter. MeriadaPro is modern, clean and professionally crafted HTML template. It has 3 homepages. In has single page and multi page layouts. This template suits for any type of portfolio, personal website, business, corporate, design studio etc. This HTML Template has 3 accent color schemes, dark & light versions, boxed & wide versions. It is based on last version of Twitter Bootstrap. Revija is a modern and premium HTML template for a news, newspaper, magazine, publishing or review site! This unique and exclusive HTML template was created by the professional team with significant experience in website development. The following categories are touched in our template: entertainment; health, high-tech, fashion, travel, sports, business, politics, others. We have developed the most flexible and easy-to-use product for you! Origin– Creative One Page HTML5 Template is a very clean and modern designed HTML5 multipurpose template for all creative people and agency / creative business. Obsession is modern, flat and clean coded App Landing Page. It is built with latest version of Bootstrap 3.3.1 and code is validated with W3C validator for HTML5 doctype.